For the most part, this isn't going to be too terribly fact based because, let's face it, there are plenty of posts out there already you can read. Or you can look up the stats yourself just as easily. This internet thing can be quite helpful at times, if you know how to use it. Since you're here, I'll assume you have a fairly decent idea of what you're doing. Friday morning and some ungodly hour, it was reported that the talks had imploded for reasons beyond our understanding. We know what people are saying, but nobody that's written about it was in the room, so it'll be chalked up to conjecture. That being said, the simple version is Cano's camp balked, demanded another year and more money, Lincoln came to life long enough to go postal, but the talks never completely died. The end result being a 10 year, $240 million dollar deal being agreed to and will become official Monday after Robinson Cano takes a physical. Was this a smart move on anybody's part? Crazy? Brilliant? All of the above? I'm going with yes. The front office is desperate. Very desperate. If their pursuit of every free agent on the market wasn't enough of a clue, the $240 million for Cano is definitely a clue. Like a bloody knife in a person's hands standing over a dead body type of a clue, but a clue nonetheless. It was smart on the front office's part mainly because the apathy the Mariners have created in their fan base has run rampant as is only getting worse. The signing woke us up in a big way and it also proved to the other free agents and teams they're ready to start making a push. Will it be enough to lure the other pieces they need to the Pacific Northwest? Only time will tell and the winter meetings haven't even begun yet. There's still plenty left to do. 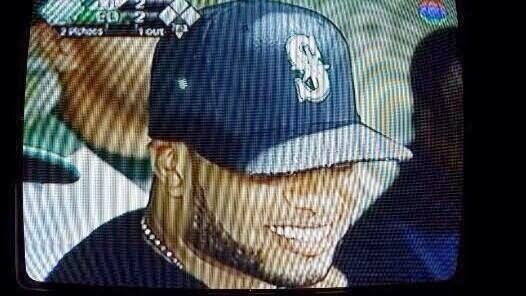 Was it smart on Cano's part? Probably not. $70 million is a lot to turn away from though. The Yankees were refusing to go any higher and the Mariners were desperate to make a move that would grab headlines and put the team front and center. Cano's agent almost overplayed his hand when the deal nearly imploded, but the desperation the front office is operating under was enough to overcome any anger they may have felt at the agent's actions. Tactically speaking, it was extremely risky, but it worked out splendidly for Cano's camp. Between the front office's goal of putting together a legitimate team and Cano's side getting him a 10 year $200+ million dollar deal, it worked well for both sides. The downfalls of this contract is fairly obvious 10 years for a player in his early 30's is, in a word, insane. The first few years will be fantastic as far as production and value, probably, but the back end of that contract is going to hurt. More than likely anyway. The most recent 10 year contracts (A-Rod and Pujols) are looking disastrous, to say the least. Pujols not even halfway through his contract yet. Dave Cameron wrote a post over on ussmariner.com about Cano's expected value over the course of a 10 year deal. You should give it a read, but long story short, it doesn't look good. Is the excitement of the upcoming season and the several seasons to follow worth the hit the Mariners will take on the back end of the contract? That's a question that won't be answered until it happens, but all indications point to no. Am I excited about the signing? Abso-bloody-lutely. Am I concerned about the length? Abso-bloody-lutely. Right now, the excitement outweighs any concern about the contract itself. That may change at some point, but I'd rather be excited about something substantial rather than trying to be excited about a 38 year old pitcher with an arm still attached with duct tape and gum. Some say the signing was a disaster and it may very well be in year 3 or year 7. As a fan, I really don't care right now. This feeling other humans outside of the Mariner fan base know as "excitement" is something I can get used to and right now, that's what matters. That and wins. Winning would be a good thing also.